We aren’t fancy but we have a well stocked store that’s staffed by family and friends who understand the products that we sell. 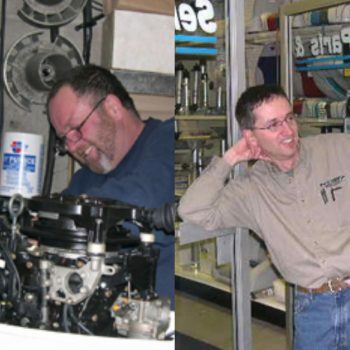 Our service team is made up of a great group of technicians who have worked with us for years. These guys are factory trained at the highest levels in their field and are known industry wide to be amongst the best in the business. We sell brand name boats, motors and boating equipment but you can get the same stuff at several other stores. We feel it’s our people and the way that we do things that set us apart from other stores. We try our best to guide customers to the products we feel will work best for them rather than pushing them into what we happen to have in stock. We price our products fairly & ethically and always include freight, prep fees and administration costs in our prices. We develop long term relationships with the vast majority of the customers that we serve. If life has taught you that where you buy is every bit as important as what you buy, we think you might have found your store and we hope that you will hang up the internet and drive over for a visit. If you are strictly shopping for the lowest advertized price or a “deal of the week”, you have probably already clicked on by now. August Civic Holiday, Labour Day and Thanksgiving long weekends to enjoy some family time. The Heighington boys have been “running the show” at Proctor Marine Ltd. for a long time now. But the man responsible for getting it all started was Don Proctor. In 1951 Proctor opened a modest shop just west of town on a lot shared with 5 cabins at the Proctor’s Motel. Don started out selling Evinrude outboards and Honda scooters. Later came Peterborough skiffs and Chris Craft kit boats. Sales were strong and the business grew. A larger location was needed and the business moved across the street where Proctor’s dad Cecil raised a few mink. The business blossomed and more boat brands were added. 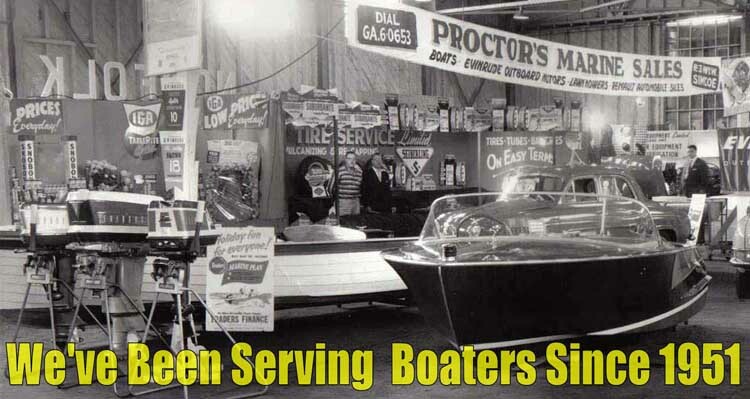 Starcraft aluminum boats came to Canada in 1959 and Proctor was one of the first dealerships on board. Traveler fiberglass boats were also sold alongside Chris Craft and Shepherd cruisers. Lawn Boy lawnmowers were offered as well as snowmobiles by SnowCruiser and, for a brief period, Arctic Cat and even Starcraft sleds were sold. The operation grew and the building was expanded. Then additional outbuildings were added. In 1973 Don found a business partner in Jim Heighington. 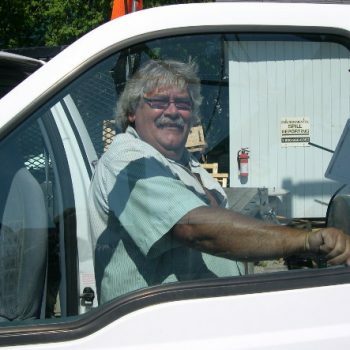 Jim had worked in the marine business since high school, starting as a fledgling outboard mechanic at Leatherdale Tire Shop in his hometown of Orillia and was at the time managing General Marine in London. When the opportunity arose to partner with Don Proctor, Jim moved his wife Donna and four boys to Simcoe. The well-established business flourished under the couples ambitious hard work. Jim’s solid work ethic and honest personality quickly earned him trust and respect in the local community. Many loyal customers from General Marine in London followed Jim to Simcoe. And several of these folks are customers of Proctor Marine to this very day. As Jim grew the business rapidly, still more expansion became necessary. The late 70s saw expansion to the service department and in the early 90s a new boat showroom was constructed. As Jim and Donna’s sons grew, so did the business. Over a span of about 20 years, one by one each of the boys came to work for the family business. Boat brands came and went, but the family’s core focus never changed and the hard work paid off. When Jim and Donna were ready to step back, they sold the business to their boys who run the business today with a small, tight knit staff made up of family and good friends. Never wavering from the long held family tradition of working passionately and treating customers fairly and honestly, Proctor Marine has been honored with a variety of awards from key suppliers for their strong position in the marine industry in Ontario. Click on one of the crew members to find out more about them and their role at Proctor Marine. Doug heads up the Boat Showroom. He makes most of the buying decisions and acts as Sales Manager. His responsibilities include boat sales, marketing, website maintenance and managing the day-to-day operations in the Boat Showroom. He also looks after the ordering of "boat specific" parts from our various boat suppliers. Doug started out rigging boats in 1980, he has over 35 years experience at Proctor Marine. John quarterbacks the service department. Every work order crosses his desk. John coordinates service work for our technicians, schedules jobs and oversees the parts inventory. 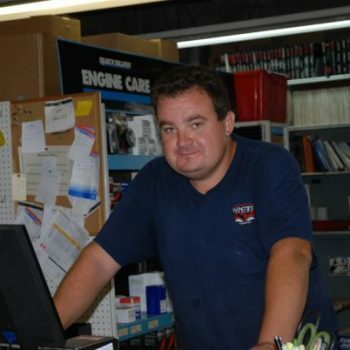 John is your first point of contact for anything related to service, maintenance and engine parts. 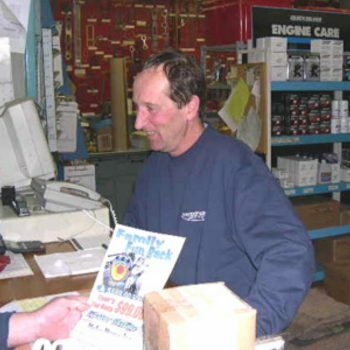 John has played a big role at Proctor Marine since 1988, he has been a fixture here for almost 30 years. Cindy runs the office. When you call our place, she is most likely the voice that you hear first. We all like Cindy because she looks after payroll. Other duties include posting, filing and bookkeeping, warranty registrations, vessel and trailer licensing and generally keeping things running smoothly. Cindy is married to Doug. 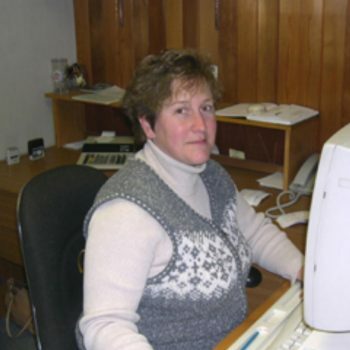 She has been part of the team here since 1985. Bob is the product specialist in our Accessory Shop. An avid fisherman and hunter, Bob's first hand knowledge of all things mechanical makes him a vital part of our team. If you have specific questions that are technical in nature regarding marine accessories, Bob is your man. 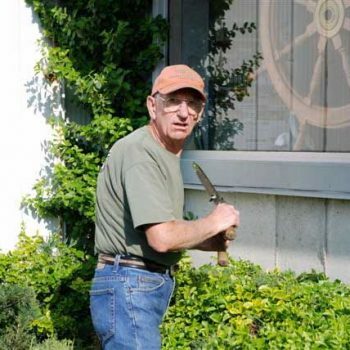 Bob had been a loyal customer for decades before joining our group in 2007. Our newest team member, Becky joined the crew about three years ago. She works in the Accessory Store learning the ropes from our accessory specialist, Bob Thompson. 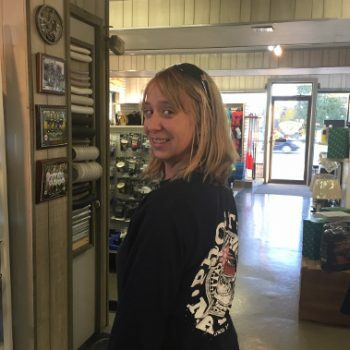 As a daughter of John and Joyce, Becky is our first third generation family member to come onboard full time here at Proctor Marine. Jay brings many skill sets to our service department. An excellent fabricator, Jay's creative mind is an asset with many custom rigging jobs and complicated installations. Fish finders, GPS, air conditioning: Jay installs it all with an eye for detail that is unmatched in our industry. Jay also owns service diplomas from Mercruiser, Mercury and Evinrude. Jay joined our ranks in 1999. As our senior service technician, he has been with us for almost 20 years now. Jason joined our team in 2013. 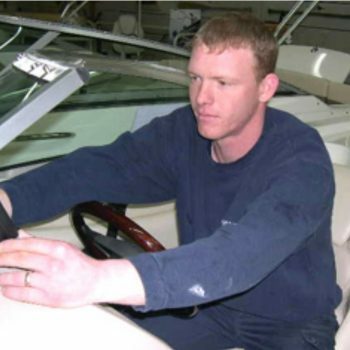 A graduate of the Marine Technology program at Georgian College, Jason has over 15 years experience maintaining, troubleshooting and repairing Mercruiser and Volvo stern drives as well as most outboard brands including both Mercury and Evinrude. Jay's abilities also include plumbing and electrical maintenance and repair, air conditioning service and most other onboard systems. Jay's strong work ethic and pride of workmanship are evident in every job he performs. Mike Wall is the parts counter guy. Serving the needs of customers at the parts counter is one of his key responsibilities. Writing work orders, managing parts orders and servicing outboard motors are all part of Mike's daily routine. An avid boater, Mike was a customer for years before he came on board in June 2013. Mike's extensive boating background has taught him a thing or two about boats. After a 16 year career in manufacturing, Mike was ready for a change and we were pleased to add him to our service department team. Larry has been affiliated with us since 1988 and has worked part time as a Sales Consultant in the Boat Showroom for about 15 years. An ardent fisherman and conservationalist, Larry knows the Long Point Bay area as well as anyone. Larry works tirelessly on many initiatives involving conservation. His input is greatly respected by the many committees that he spearheads. Larry has been a valuable member of Crestliner's Pro Staff Team for over 5 years. Doug is a loyal customer who hung around the shop so much that we hired him. DR brings a lot of enthusiasm with him to work every day and the Boat Showroom is a fun place when Doug is on duty. 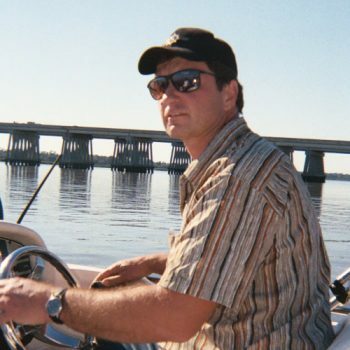 Doug has owned several boats, his hands on knowledge is invaluable to first time boat owners. A "tech savvy" guy as well as a camera buff, we turn to Doug for any of our inside IT concerns. Doug has been part of the team for more than a dozen years. Bruce had been a friend and customer of Proctor Marine for over 15 years when he stepped into the truck driver role here in the spring of 2010. With a career as a heavy equipment operator behind him and all of his boating experience, Bruce is well qualified to load, transport and deliver any boat that we handle. Bruce and his wife Anna live and boat in Turkey Point. If your boat has ever been on our service lot, chances are that Steve has moved it, hoisted it, painted it or shrink wrapped it. Steve's days are typically spent running heavy equipment in our yard. You will often find him running the forklift, the tractor, the pressure washer or the overhead hoist. Outboard motor maintenance and trailer service are some of Steve's other responsibilities. Steve works diligently and conscientiously as he handles every boat as though it was his own. Steve joined our squad in 2008. Jim sold the joint and retired over 20 years ago but his DNA can still be found all over this place. The antique outboards that grace the walls are all fine examples of his workmanship. When Jim isn't restoring antique outboards he might be trimming a hedge here or watering a flower there. Not much slows this guy down. The Proctor Marine photo album wouldn't be complete without a few words about Nick. Currently living in London, Nick's infectious smile and enthusiasm makes him a crowd favourite wherever he goes and our days here are brighter when Nick is around. 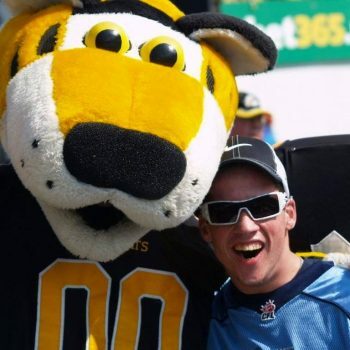 Nick plays left wing for the London Blizzard Sledge Hockey Team.